Nothing better than a Princess's rucksack for exploring the Estate of Trianon! Your child will also find it useful for carrying her lunch, 'blankie' and exercise books. A pocket is provided inside the rucksack for carrying small precious objects. The straps are adjustable (28 to 47cm). It also has a handle on top for carrying by hand. And two magnetized clips for closing it easily. 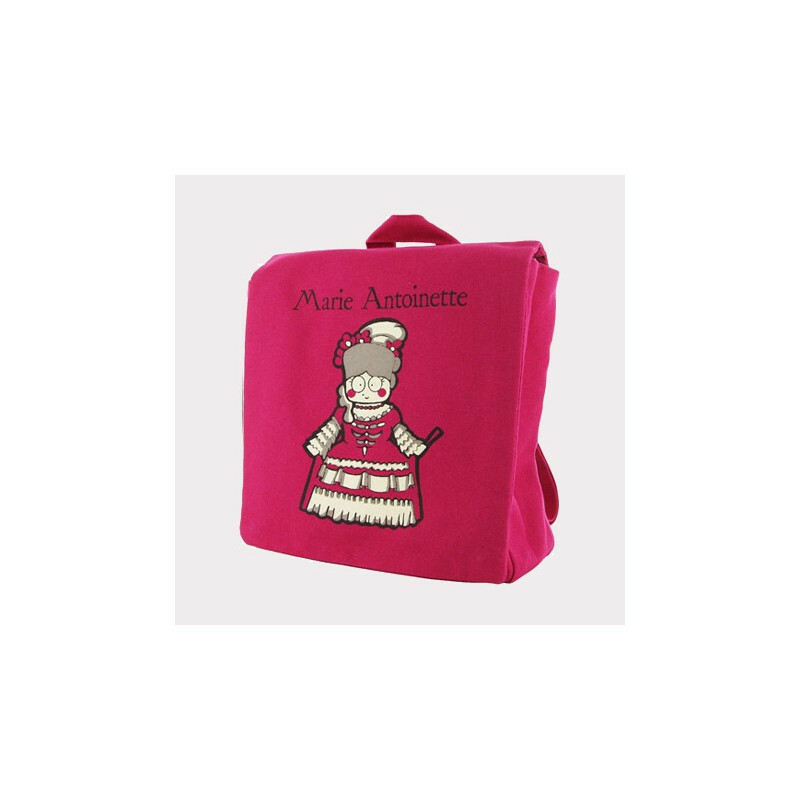 This rucksack is made from organic cotton with the GOTS label which certifies its traceability, guarantees its eco-friendly production and good working conditions for the personnel.The 'Marie-Antoinette' pattern designed exclusively by Jean-Michel Bouleau for the On-line Boutique of the Palace of Versailles forms part of a line for children presenting the most illustrious figures in the history of Versailles. Machine washable at 30°C.